Home / Editor's Choice, Forum and discussion, Lifestyle / Former Citizen TV presenter, JOEY MUTHENGI, in cloud nine after landing a plum job with international media house. Former Citizen TV presenter, JOEY MUTHENGI, in cloud nine after landing a plum job with international media house. Tuesday, January 08, 2019 - Former Citizen TV presenter, Joey Muthengi, cannot hide her joy after landing a plum job with an international media house, two months after she quit the Royal Media owned station. Taking to social media, an ecstatic Joey revealed that she has been offered a job by the Voice of America (VOA) - a U.S Government funded international radio based in Washington DC. “Joey, English to Africa Service Voice of America has an urgent job request for you, please review on play desk and accept or decline ASAP” read part of the email she received. This is where the petite, happy-go-lucky lass did her first internship while she was pursuing her media career in a college in the States. “OMG, Voice of America was my 1st internship while in college. I can’t even. Look at God’s,” she wrote on Instagram. Joey left Royal Media in November last year after she starred in an advert for a gaming company that rivals that of her former employer. 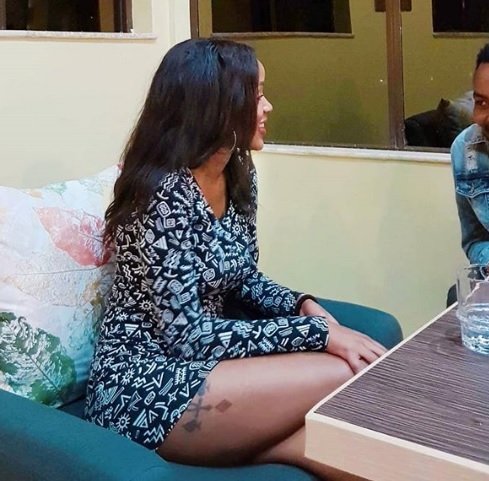 She said then that she was planning to relocate to Italy to live with footballer, McDonald Mariga, who she was rumored to be dating after they featured together in the advert but it now appears she is headed to DC.